If you already live in Sarasota, you know what it has to offer. If you are considering a move to the beautiful Gulf coast of Florida, the residents will tell you, come on in the water’s fine. Whether you find yourself at the Bay, the beach or inland angling for a large mouth Bass on one of the many lakes that pepper the state of Florida, there is always something new to do tomorrow. So, whether you are retiring to our area or would like to purchase a home in this beautiful area, as you move up from your Rental or current home an agent can help you find a homes for sale that suit you and your lifestyle. The number of homes on the market gives you more properties from which to choose as well as more stable pricing. No matter which area of the county you choose, the shopping, excellent restaurants and amenities near your home that are easily accessible no matter where you choose to buy. 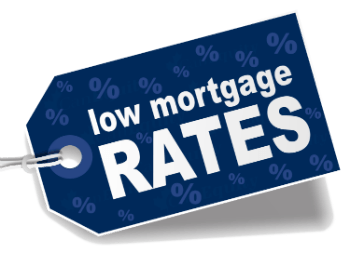 Mortgage rates are still hovering in the low 4% range for 30 year fixed rate mortgages. This trend will not last forever. Freddie Mac is predicting that home loans will reach the 5% mark by the end of 2015. This will add a substantial amount to your mortgage if you wait until then to purchase a home. Buying now will give you a low interest rate for the life of your loan that can be cheaper than renting a comparable home. Renting a home has become more expensive than ever, in the last few years. To the point that purchasing a home has become the most financially sound alternative. It has always been better to own, however, with the market still adjusting from the number of foreclosures; the price of rental properties has skyrocketed and the availability has become thin, making finding a rental a difficult proposition. If you are currently renting, talk to a bank loan officer and then see a licensed real estate agent who can help you find a home. If you can afford to buy your home now, it will cost you less over the years and will help build equity in your future.